Senceca Landing Sate Park is a small park with a large parking area area near the boat ramp. The ramp is a popular site for recreational use of the Seneca Lake that forms behind Dam No. 2. Access to the Potomac is under the Seneca Aqueduct of the C&O Canal. 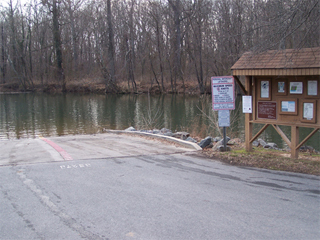 Picnic and fishing areas are located along Seneca Creek both upstream and downstream of the boat ramp. The red sandstone Seneca Creek Aqueduct and nearby lock house are both interesting historic sites. The Calleva Outdoor School operates an extensive program of summer camps, kayaking instruction, and other activities based in the historic house near the Seneca Aqueduct on Rileys's Lock Road.